If you believe that music can change the world, PLEASE CLICK HERE and read how you can take additional action. I believe that music can change the world, so I’ve written a letter to Congress and sent it to my individual representative. But I need your help to get it out to all of our representatives to ask them to watch this video of the song “Get Together” with an open heart. Click here to read my letter and more about this Call to Action! founding member of The Youngbloods, and the original ‘Hippie From Olema’. 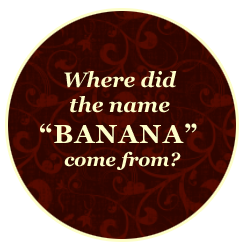 Here you will find tour dates, press, music, photos, videos and more relating to Banana’s legendary music career. 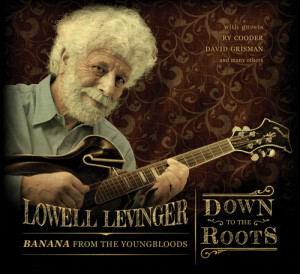 An exciting new look at the Youngblood’s most popular songs, rearranged and recorded with new life by Lowell Levinger with guests such as Jesse Colin Young, David Grisman, Ry Cooder and a host of others. 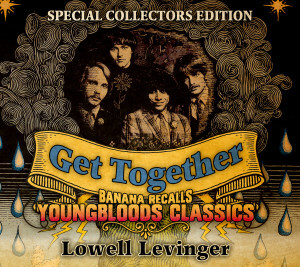 Levinger, one of the original founding members of the band along with Young has infused this release with the same eclectic, fun-loving energy that the Youngbloods put into their shows. This Collectors Edition is guaranteed to inspire a new generation and some old fans to embrace the magic created in those Youngblood years.